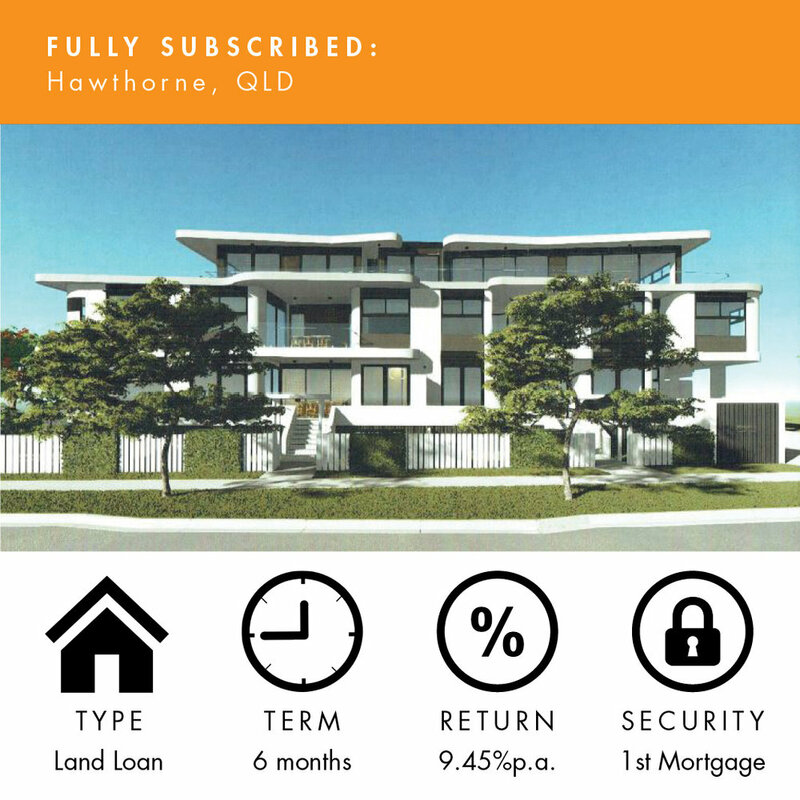 We are pleased to confirm our latest loan investment opportunity 'Hawthorne, QLD' closed fully subscribed this afternoon. IMPORTANT INFORMATION: This webpage is issued by Holden Capital Partners Pty Ltd ACN 608346158 AFSL No 481944 (HCP) and does not take account of a recipient’s objectives, financial circumstances or needs. Investment is limited to qualifying “Sophisticated Investors” who must first formally register with HCP by completing the online registration requirements available from www.holdencapitalpartners.com.au/signup. The HCP registration page contains full details of the terms and conditions of investment. All investments with HCP involve risk that can lead to a loss of part of or all of your capital. HCP is licensed to provide only general financial product advice about its products and is not a financial adviser. HCP does not give or purport to give any taxation or financial advice. Prior to registration and the lodgement of any application or making a further investment, investors should carefully read all the information provided and consider seeking independent advice from a licensed adviser who will conduct analysis based on their individual circumstances as appropriate. ^ Any quoted rates are net of management fees and costs. Please note that past performance is not a reliable indicator of future performance.